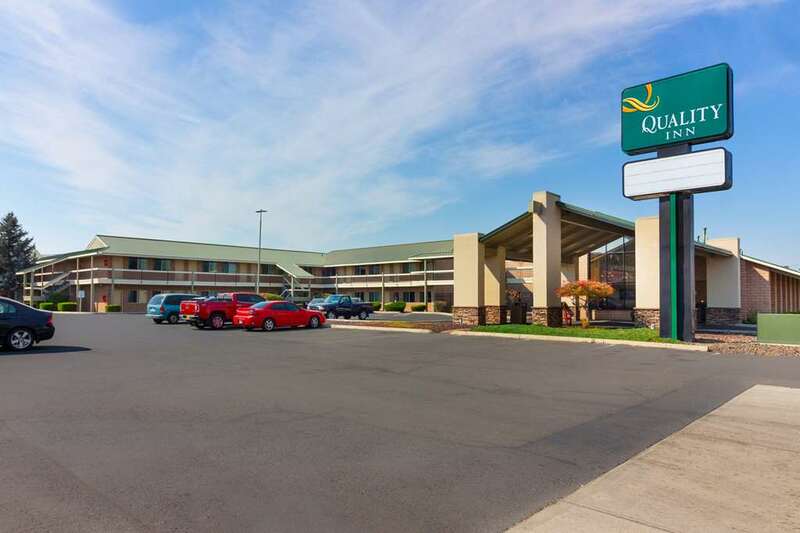 Get more for your money at the Quality Inn Yakima near State Fair Park hotel in Yakima, WA near the Yakima Convention Center. We are located off Interstate 82 near attractions like Yakima Valley Museum, Greenway Walking Trail, Washington State Fair and the Desert Hills Winery. Get more value with amenities like free breakfast, free WiFi, a heated seasonal outdoor pool and more. Rooms include a microwave, refrigerator, coffee make and TV. Corporate rooms have recliners and triples sheets on the relaxing Sleeper by Serta bed. Also, earn rewards including free nights and gift cards with our Choice Privileges Rewards program.